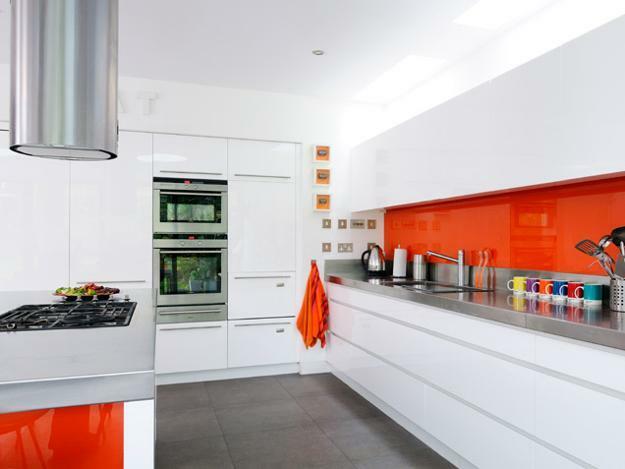 Orange kitchen colors are a great tool for creating optimistic, bright and modern kitchen design and decorating. 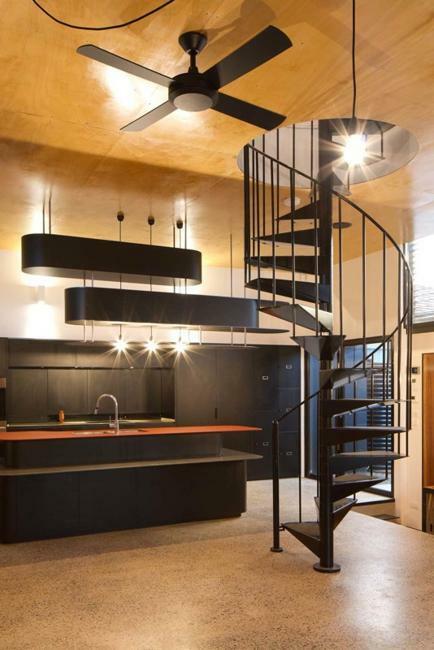 Orange color schemes are warm and dramatic. 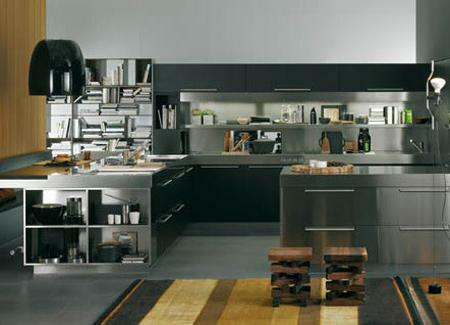 Modern kitchen design and decor accessories in orange colors are brilliant, unique and exciting choices to give kitchen interiors an unique look and exclusive feel. 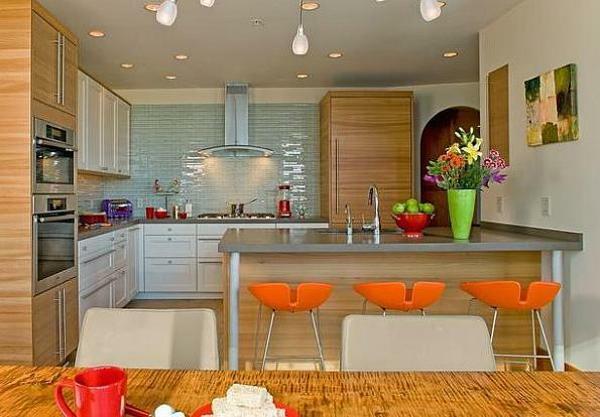 Bright orange color schemes bring excitement of intense color into modern kitchen design and decorating. Orange paint, wall tiles, wallpaper tiles in orange colors, kitchen cabinets and decor accessories in orange color shades are spectacular. Even small orange accents are impossible to ignore. 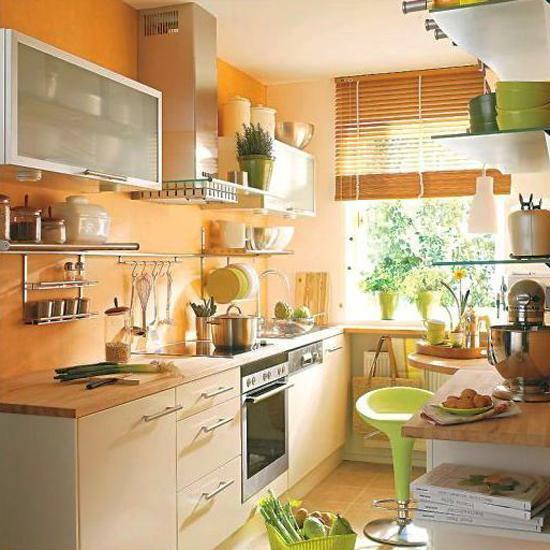 Orange kitchen colors are especially welcoming and stimulating, blending coziness into modern kitchen decor. 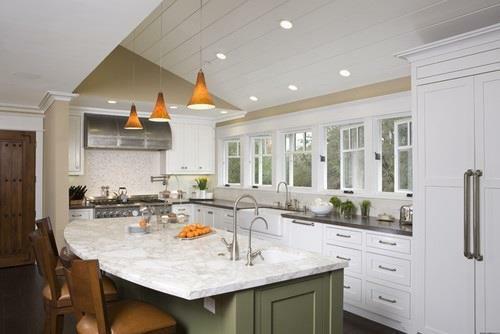 Lushome shares a large collection of kitchen decor ideas that demonstrate how to incorporate orange color shades without creating too bright and overwhelming color design. 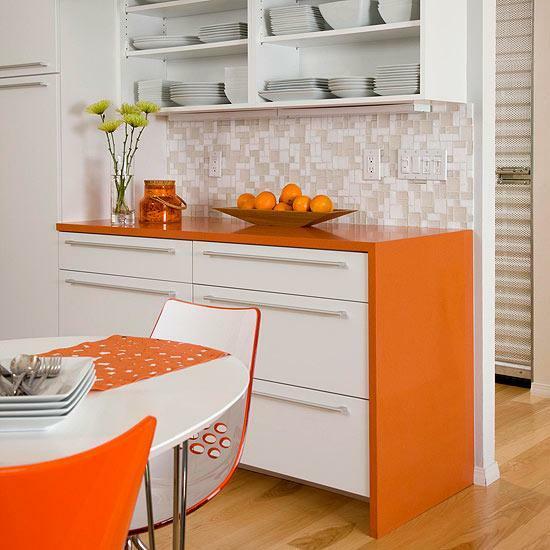 White kitchen cabinets look fabulous with accents in orange colors. 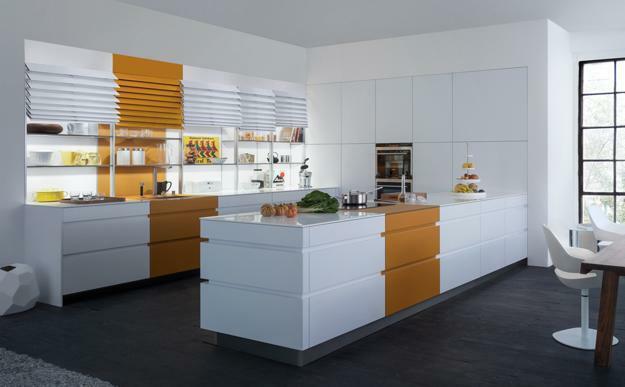 Shiny orange and white kitchen cabinets in contemporary style can be combined with all neutral colors and brown colors of natural wood. 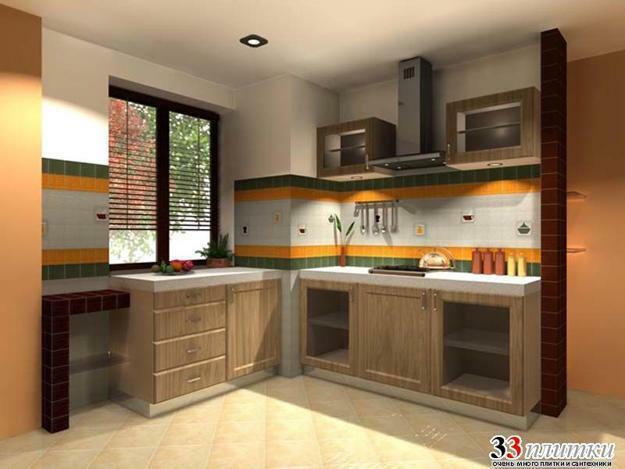 Orange paint and orange wall tiles, wood laminate or vintage wood create beautiful color schemes for modern kitchen design and decorating. 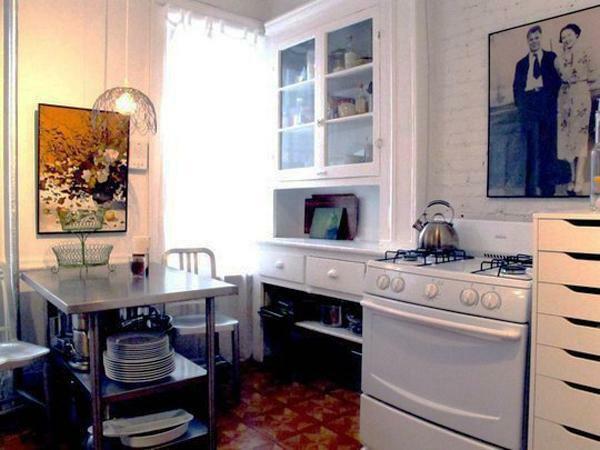 Orange paint, wallpaper patterns, wall tiles in orange color shades give fresh and warm look to modern white kitchens. 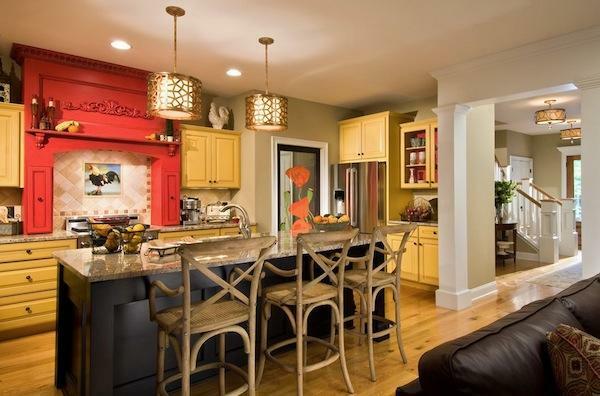 Orange color accents, kitchen curtains, floor rugs, tableware or small decorations in orange color is ideal to fill in the gaps and add interest to modern kitchen decor. Deep orange color schemes feel relaxing and welcoming. 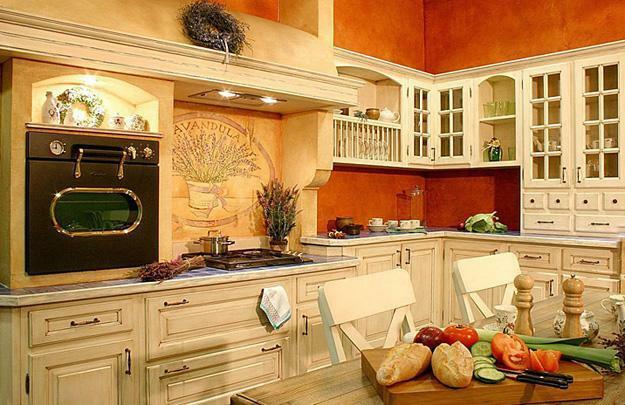 Deep orange colors are wonderful for country home kitchen design. 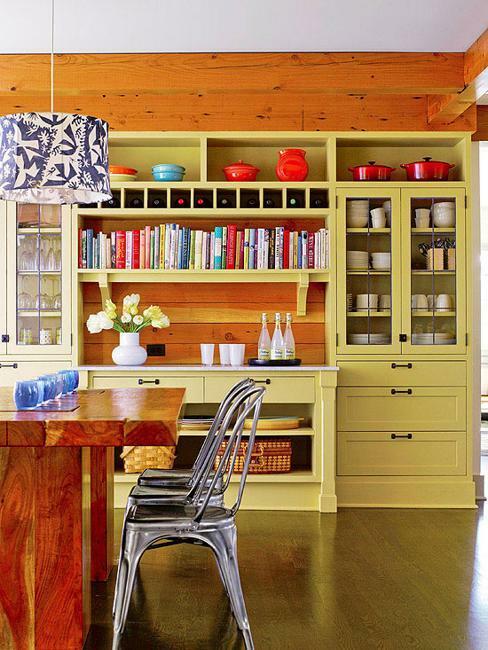 Burnt orange and salvaged wood give a charming rustic touch to a country kitchen decor with solid wood ceiling beams, wooden furniture and ceramic kitchen accessories. 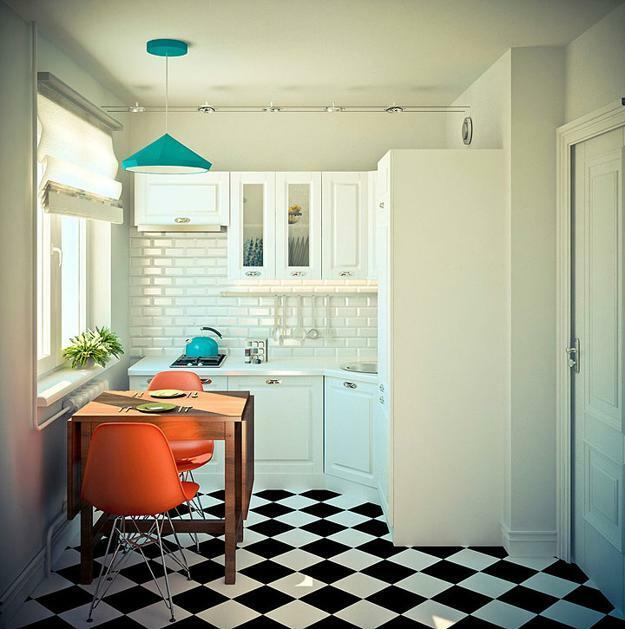 Deep orange paint, wallpaper patterns, wall tiles and even flooring in deep orange color work well for modern kitchen design and decorating in retro styles. If you have hardwood or ceramic tile flooring, orange accents create harmonious modern kitchens with wooden architectural elements. 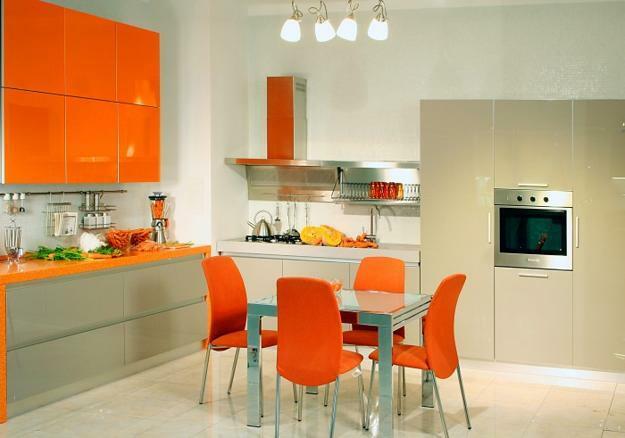 Orange paint for dining furniture and kitchen cabinets, orange decor accessories and tableware in orange color can be used for modern kitchen design and decorating ideas in Mediterranean styles. Adding blue accessories and accents in green colors beautiful and harmonize design color schemes that include warm orange color shades. Mediterranean hand painted pottery and unique tapestry artworks on display will accentuate kitchen interiors and create spectacular kitchen decor in country home or Mediterranean style. 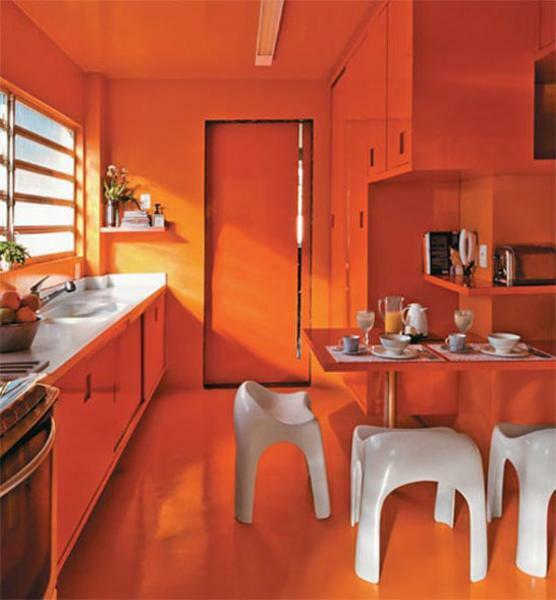 Orange paint for walls and furniture, creating bright contrasts with wall or kitchen cabinets in neutral colors are great for large kitchen design. 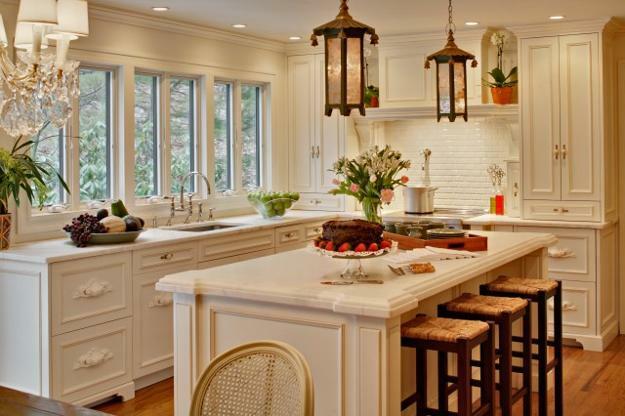 Cream or white kitchen cabinets and walls look striking and interesting with orange accents. 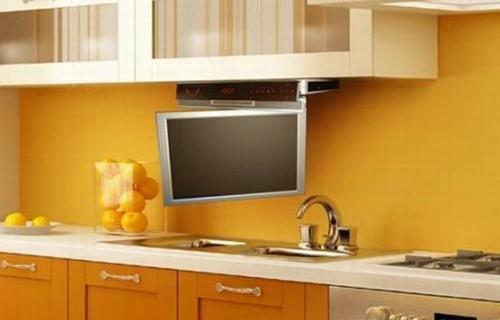 Small decor accessories in orange colors are a simple and inexpensive way to add intense color to kitchen decor. 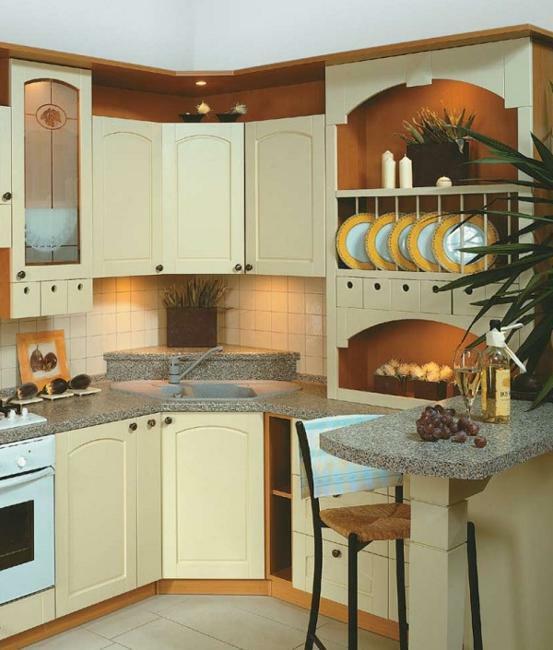 Any kitchen design needs a focal point for its decorating, – an accent wall or spectacular appliances, that transform boring interiors. 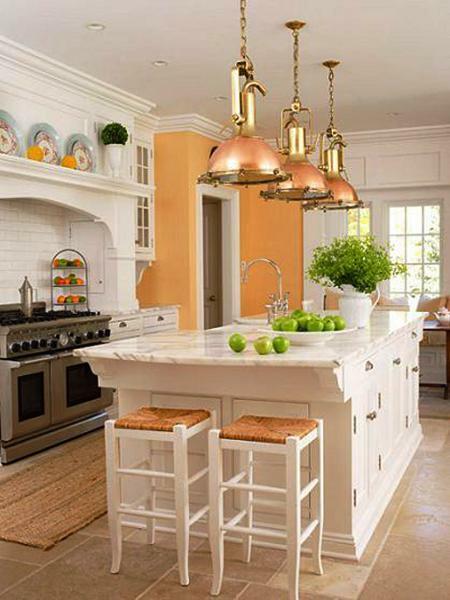 Solid orange walls, colorful wallpaper patterns with details in orange colors, orange kitchen cabinets, curtains or orange lamp shades, orange storage jars and artworks, orange tableware and flooring are choices that allow to bring beautiful and optimistic orange color into modern kitchen design and decorating.